Rank Tracker lets you manage your own and clients keyword ranking and monitor track keywords, progress graph, history record, ranking data, visual grahph, keyword difficulty. WebSite Auditor is a top notch tool and an excellent fit for SEO agencies. 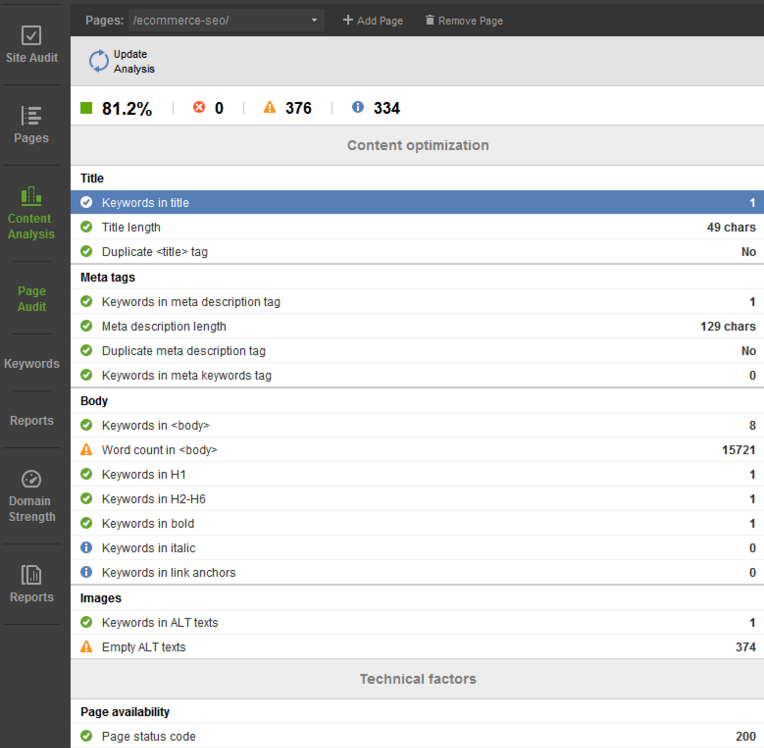 It performs technical SEO audit, uncovers issues (validation errors, code mistakes, tags, indexing, etc.) 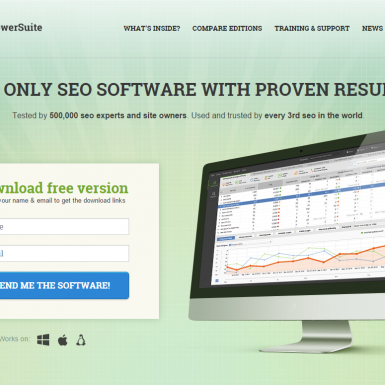 and generates final reports that you can send directly to the clients or use to improve your own SEO. You can audit: pointing and broken links, on-page SEO, indexing across search engines, social media popularity, most popular pages of your site, meta descriptions, titles, etc. 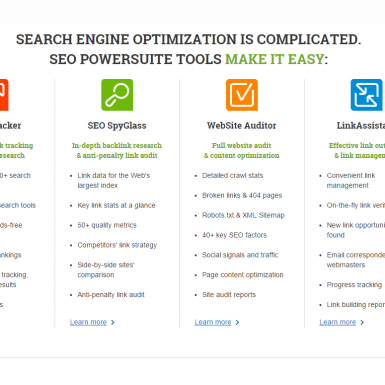 SEO SpyGlass – spy on competitors and learn their link building strategy. This helps to obtain a clear vision of what effort you need to put in to rank your site. It performs deep scan of multiple factors like detailed backlinks data, penalty risks, traffic from particular backlinks, domain age, anchor text, page rank, social media popularity and much more. The tool is ok in general, but for serious link building projects you may prefer to use multiple data sources like Majestic, Open Site Explorer and Ahrefs. 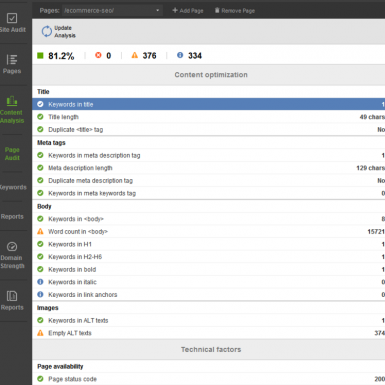 Link Assistant – the tool will lets you manage your link building campaigns. 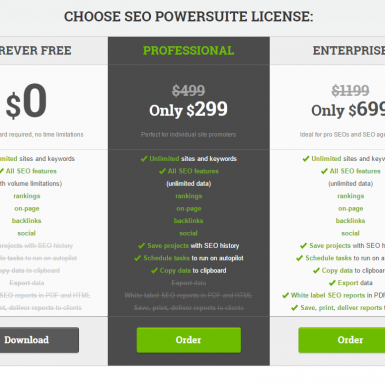 The tools seems to be about old days SEO and these days there are better modern alternatives like Raven or BuzzStream. To recap, Rank Tracker and Website Auditor tools make a lot of sense (especially when used together), comparing to web-based tools like Moz or Raven due to their real-time results. SEO Spyglass and Link Assistant are not so recommended since they have better modern alternatives.